About a month ago I wrote about all the benefits of creating a Google AdWords campaign, even if you never turn on your ads. By going through all the steps to create a profitable ad campaign, you’ll determine your ideal customer avatar(s), how to target them, how much you can afford to invest to acquire a new customer, and you’ll craft a more compelling offer with a strong call to action. That all happens before you turn on your ads. Now let’s talk about all the benefits of turning on those ads and running an ad campaign. In this article, I’m going to walk through 3 key reasons why I think every business should advertise with Google AdWords (no matter what industry you’re in). Think about this for a minute. Where else can you advertise exactly when your ideal prospects are looking for your product or service? However, when someone goes to Google and types “hardware store,” “hand dryers,” “barefoot running shoes,” or “nyc dentist” then there is no question that person is looking for a business. And not only is that person looking for a business, but she needs a product or service right now! Google AdWords is hands down the best advertising platform for targeting your ideal prospect at the ideal time. Every day people are literally searching for your product or service, and AdWords gives you the ability to get your business in front of them. If you’ve tested other forms of advertising like TV, radio, print, and online media buying, then you know there are usually some hefty minimum ad buys. Often a minimum outlay of several thousands of dollars is required to test the advertising campaign with absolutely no guarantee that you’ll get that money back. That’s a tall order for most small businesses. 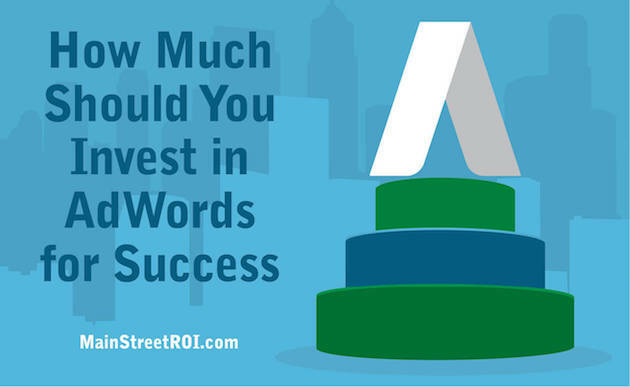 With Google AdWords, there is no minimum ad buy. You can literally start with $20 to get your feet wet. And then reinvest once you see how the campaign is performing. I studied engineering in college so I’m a bit of a data geek by nature. In fact, one of my favorite aspects of Google AdWords is all the tracking and reporting. Not only can you report on your ad impressions, clicks, and costs, but you can also track phone calls, website leads and sales directly in the AdWords interface. In 2013, Google added offline conversion tracking, so advertisers can now match leads and sales generated in-person or over the phone, to the exact keyword and ad in the AdWords campaign. That means even professional service providers and brick and mortar stores can track leads and sales precisely using Google AdWords. I enjoyed today’s seminar very much. I didn’t have any trouble looking at the spread sheet then, but just tried to pull it up, and it was not activated. Said ‘Not found’. I’d really like to work on this before the learning gets cold. Can you resend this please? Hi Julie – Please let me know if you have not received the file or if you’re still having trouble accessing it. Thanks.